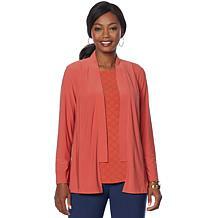 Copper Fit Restore Wrap Top Throw on this pullover to complete any casual outfit, from leggings to denim ensembles. 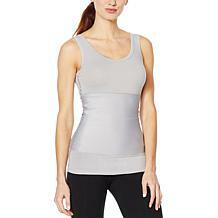 The mock-wrap design is figure flattering and layers beautifully over your tanks and tees. 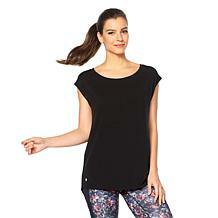 Fly away with Bzees fashion that support your active lifestyle. 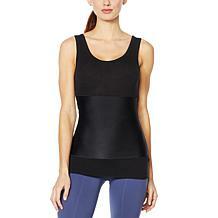 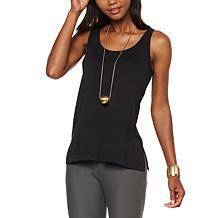 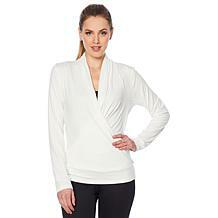 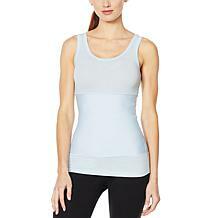 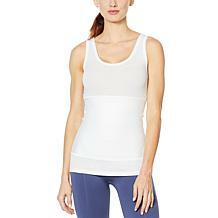 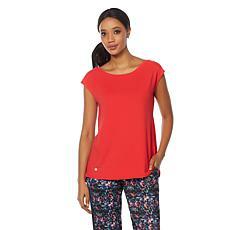 This cute top puts the focus at the rear with a flyaway design that be layered with a tank, camisole or sports bra. 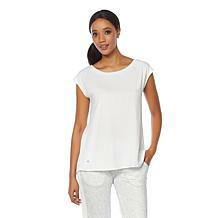 Soft jersey fabric is notable for its softness and drape, and this selection comes with SPF protection. 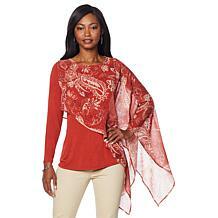 Jones NY Linen-Blend Printed Button-Down Shirt - Plus The perfect top to incorporate into your busy life, this lightweight linen-blend shirt is designed with an upturned collar and roll-tab sleeves. 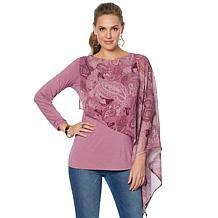 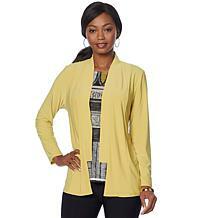 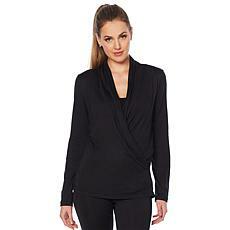 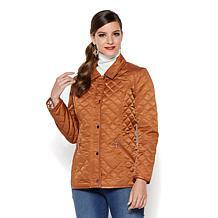 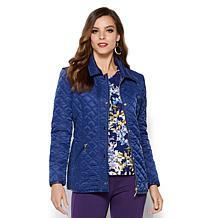 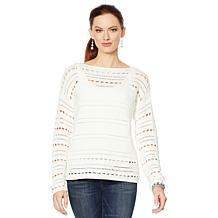 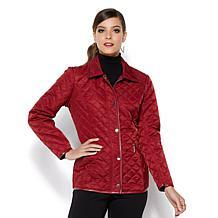 The versatile design can be worn with leggings or unbuttoned and layered as a topper. 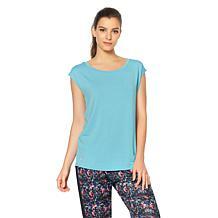 Jones NY Linen-Blend Printed Button-Down Shirt - Missy The perfect top to incorporate into your busy life, this lightweight linen-blend shirt is designed with an upturned collar and roll-tab sleeves. 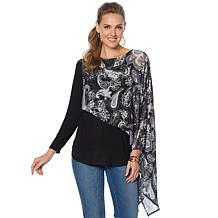 The versatile design can be worn with leggings or unbuttoned and layered as a topper. The perfect tunic to incorporate into your busy life, this lightweight linen-blend top is designed with tall side slits and roll-tab sleeves. 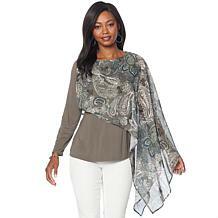 The versatile design can be worn with leggings or unbuttoned and layered as a topper. 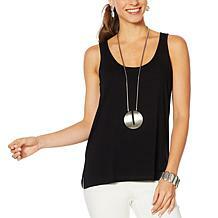 It's a fashion eclipse! 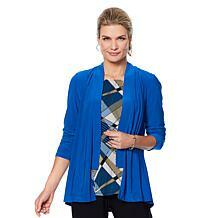 Be a standout, style star when you layer on this soft sweater knit cardigan this season. 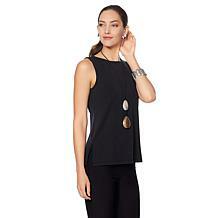 With jeans and a tee or a ponte knit dress, it's out of this world.